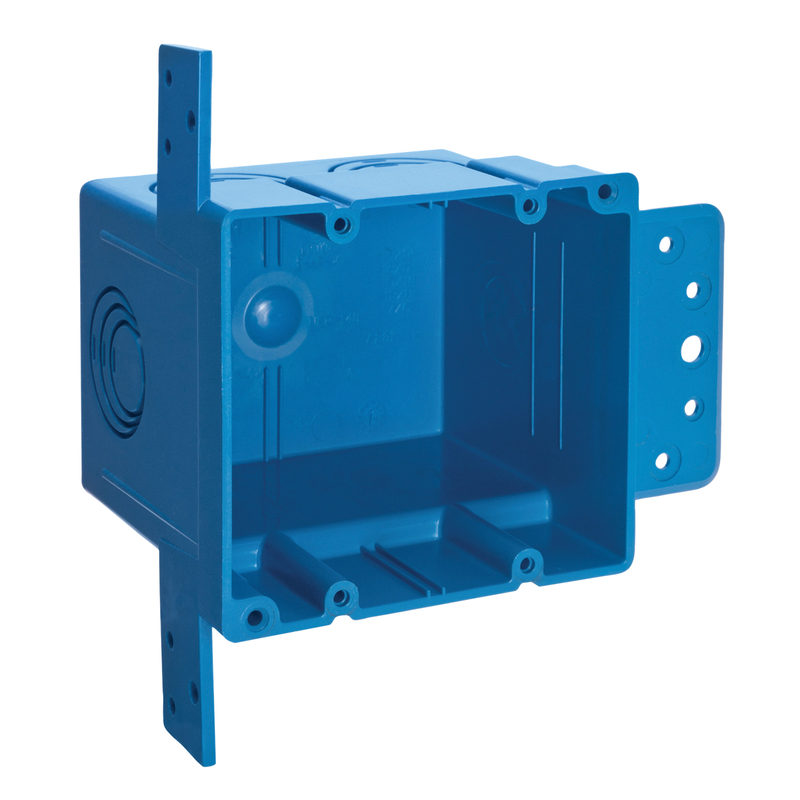 Detailed Description: Carlon 2-Gang ENT Outlet box features thermoplastic construction to offer enhanced durability. It comes with eccentric knockouts to offer faster installation. Outlet box has 38 cubic inches capacity. It is ideal designed for use with selective ENT openings. Outlet box can be mounted to wood with steel studs. Box is UL listed.